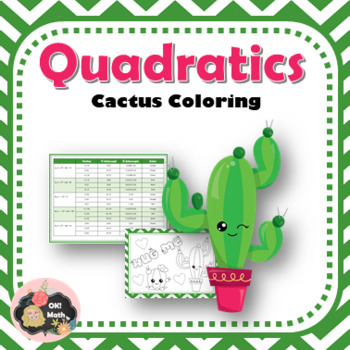 Students will practice calculating/finding key characteristics (vertex and x and y-intercepts) of quadratic equations in this cactus themed coloring activity. Answer key is included. Note: These are the same questions as the Characteristics of Quadratics Halloween themed coloring activity.